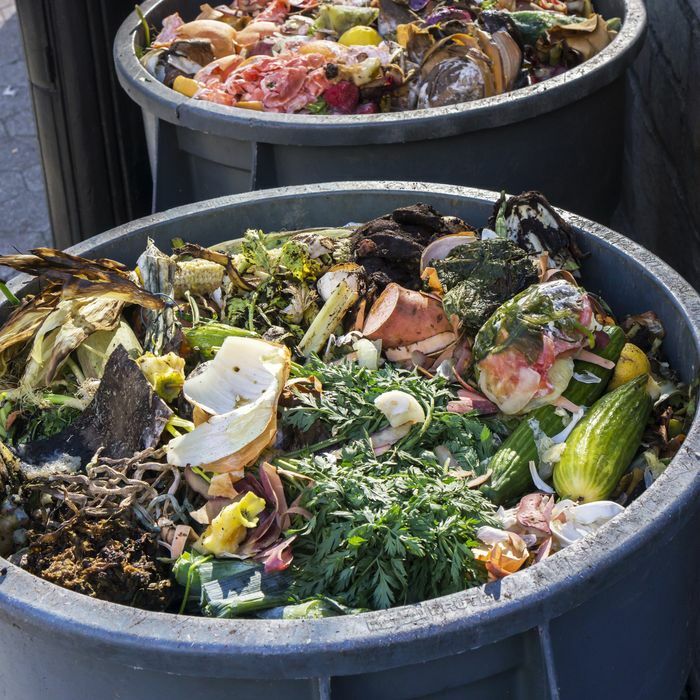 76 percent of households say they throw out food at least once a month. According to a survey conducted by the American Chemistry Council, American households each throw away an average of $640 of food every single year, but despite the fact that the EPA says this methane-producing waste makes up 20 percent of landfills, a mere 15 percent of people polled say they’re concerned about the environmental impact. In fact, most of those polled — 79 percent — say they’re worried about all that wasted money. That disparity is somewhat surprising: The study arrives at a time when food waste has become a critical and much-discussed issue, informing pavilions at this year’s Milan Expo, inspiring the WastED Manhattan pop-up from chef Dan Barber, and causing top brands to pledge to halve their waste by 2025. It’s also a time when Americans are seemingly more concerned than ever about the effects of food and agriculture on the planet and their well-being. Fears over unnatural ingredients have caused a host of major food companies, from Taco Bell to General Mills, to pull artificial ingredients from products, while a GMO backlash provoked Chipotle to rid them from its menu. Wasting food, though, isn’t just about spoiled leftovers, but involves misspent resources like water and energy. Clearly, it’s an issue that Americans need to start thinking a little bit more about, from every angle.